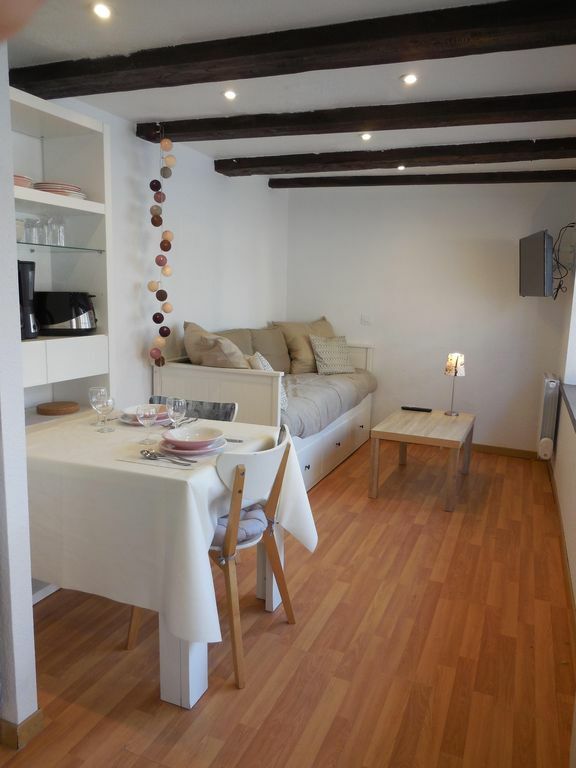 Loue pleasant renovated studio 21m2, any comfort in an Alsatian house in Epfig to the heart of a vineyard with shops (bakeries, butchers, grocery, pharmacy). Train station to 500m. Halfway between Strasbourg and Colmar, Epfig is ideally located for exploring Alsace. At the foot of Mont Sainte Odile, the Haut Koenigsbourg and the wine route. Nearby Kaysersberg, Ribeauville and Riquewihr. Europa Park 30 km. A 5 mins from the motorway A35 (Strasbourg-Colmar). A supplement of 20 euros per week rental will be required for heating the end of period September to mid-April. Cleaning (20 €) and rent bed linen and towels (10 € / person) on request.